It's confirmed that signing into Skype using Microsoft Account is facing problem as indicated on Skype Heartbeat. 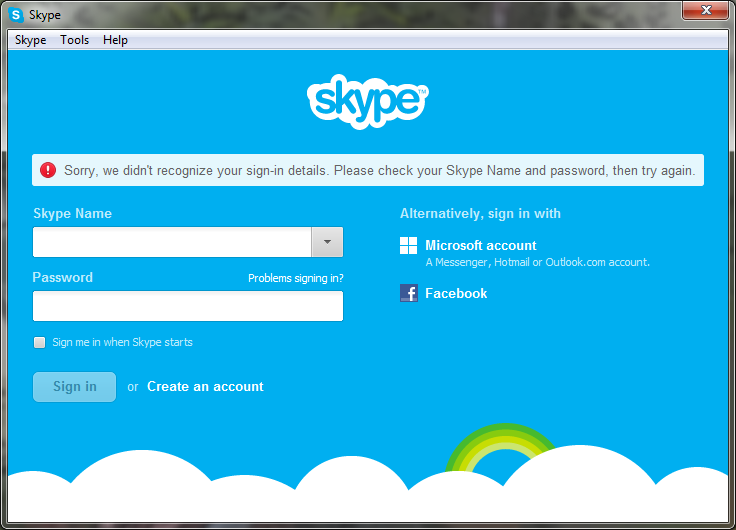 It seem to be affecting only Skype for Desktop. Third party IM e.g. imo.im or eBuddy. [UPDATE Apr 25, 2013 18:15 GMT+8] The issue has been resolved - at least for myself.